The spread of antibiotic-resistant bacteria as reported in this Reuters story, U.S. sees first case of bacteria resistant to all antibiotics, is a terrifying prospect. Hopefully though this strain will remain contained as an isolated incident in Pennsylvania and not travel to the Midwest and beyond. Antibiotics: When is the Right Time? “Open Soul, Pour In Inspiration” would be an appropriate tagline for the experience of attending the Sundance Film Festival, from which I just returned. Sundance also is a social entrepreneur’s dream scenario. What Robert Redford started 30 years ago in order to give back to the field in which he had enjoyed great success and bring additional support to the community he loved has blossomed into a spectacular connection point for anyone creative or looking to nurture what is best about humanity. The 11-day event has grown to be about far more than just film; but, at its core, Sundance primarily still nurtures the next generation of excellent independent filmmakers. Yes, the festival really is this amazing. So, I’m forever grateful to Wendy Serrino for introducing me to the festival. Any friend who is visionary enough to understand this and share it with you is an amazing friend indeed. That’s Wendy. In the past, I’ve been fortunate to attend Sundance with her when she hosts a great group of girlfriends. This year, though, because I yearned to introduce family members to Sundance, I instead attended with three generations of Noyeses — my husband, Nick, filmmaker son Pat, daughter-in-law Shana, and grandson Charlie, celebrating his early admission to MIT. Charlie and Shana on Main Street in Park City, Utah, wearing jackets by sponsor Canada Goose. Post-screening Talk Backs by directors, writers, stars, producers or a combination thereof of each film contribute mightily to the festival’s charm and inspiration. Many of these creatives labor for years and overcome enormous odds in order to present their films to overflow capacity audiences. They wear their hearts on their sleeves as they humbly and joyfully offer appreciation to the audience and the opportunity that Sundance provides. Sometimes the writer, producer, director and star are the same person — as is the case with the uber-inspiring Nate Parker of “The Birth of a Nation.” His film won the Grand Prize and Audience Choice awards, as well as the largest major studio contract. What I love best about Parker is that he turned his back on a more lucrative career in the short term, in order to only do work that provides a positive role model for blacks, creates a legacy of which his five children will be proud and is likely to help make the world a better place. It’s noteworthy that most or all of the films that my family and I loved already have been purchased by a major studio, HBO or Netflix. Sundance has become an increasingly valuable stepping stone to commercial success. More Nate Parkers should emerge from it in the future. The Sundance 2016 films and show that the Noyes family recommends below will make you laugh, cry, think and want to live better. We strongly recommend that you catch them when they are in theaters or streaming into your homes. James Foley was the U.S. photojournalist famously beheaded by ISIS in Syria, as well as one of five children lovingly raised in a traditional New England home. His journey helps define life lived for truth and humanity. It also illustrates that now most foreign war correspondent journalists don’t get paid or protected enough for their work. Worse yet, they are also the targets of the oppressive regimes on which they report — no longer receiving the protection formerly accorded to journalists. I recommend that you not only watch the film, but also learn more about how you can help at the James Foley Foundation. Based on Jonathan Evison‘s novel “The Revised Fundamentals of Caregiving,” this comedy about a writer trying to overcome the devastation of his young son’s death by working as a caregiver for an acerbic 18-year-old male with muscular dystrophy was my husband’s favorite. Selena Gomez, Paul Rudd and the rest of the superb cast offer brilliant performances too. Roger Ebert likes this one, too. Fun-fact: We sat next to Evison, who explained that his novel is autobiographical. He served many years as caregiver for a muscular dystrophy patient (who also attended the film at Sundance). His sister had suffered a tragedy similar to the story’s main character. Evison likes to interact with fans on his Facebook page. Also, a true star is born with Nate Parker (writer, director, producer, star), who grew up in poverty and is determined to grow his career by only making films with positive black role models. Photo courtesy of Sundance Institute. Purchased by Sony for wide release this year, “Equity” is produced by Sarah Megan Thomas, directed by Meera Menon, written by Amy Fox — women with strong ties to Wall Street who are also on a mission to empower more women to pursue careers in this male dominated field. The film stars Anna Gunn, James Purefoy, Alysia Reiner and Thomas. Bleecker Street promises wide screen release of this visually stunning and emotionally compelling comedy starring Viggo Mortensen. He raises six children in a Pacific Northwest outdoor paradise and trains them to be elite athletes and scholars, as well as musicians and philosopher kings, until events conspire to force them to leave and start wrestling with the expectations and values of traditional society. Guaranteed to make every thoughtful parent think twice about their values and parenting strategies as they laugh, cry and observe with awe. As a mother of six, I can’t help but relate. Starring Casey Affleck (Ben’s brother), with gorgeous New England cinematography and a heartbreaking storyline about family bonds and community roots, this was my filmmaker son’s favorite. He sees it depicting a full breadth of family and human emotions. It actually disappointed me because the family members facing challenges admitted defeat rather than rising above them. Purchased by Amazon, it should be available soon. Yes, this is a documentary about that Weiner — disgraced former U.S. Representative Anthony Weiner. Chronicling his failed bid for NYC Mayor, this film would be brilliant if it wasn’t for the deceptive omission that the director was also Weiner’s former Chief of Staff. Weiner’s wife, Huma, part of Hillary Clinton‘s inner circle, is the true star. And the film leaves you wondering why she stays with this narcissistic, deeply flawed man. The event that premiered excerpts from the upcoming PBS/BBC series about the roots and history of American music and recording could only happen at Sundance. Robert Redford explained that his passion for this project grew out of his love of music and American history. British director Bernard MacMahon dedicated years to the project that was executive produced by T. Bone Burnett, Jack White and Redford. Musicians Taj Mahal and the Avett Brothers performed for a crowd that included luminaries like JPMorgan’s Jamie Dimon. Conclusion: If you ever have the opportunity, please attend the Sundance Film Festival. But in the meantime, you can trust that if a film was selected for the festival, it is likely to be worth your while to watch. I’ve long admired Newt Minnow. He was a revered partner at Sidley Austin when I was a new, young associate there in the 80’s. His vision for media with meaning (“Television is a vast wasteland”) resonates with me too. I agree with every point – particularly #7 – “Your wife, Diana, has good judgement.” But also I love the underlying sensibility of the importance of being a collaborative problem solver with good values, which infuses all of Minnow’s recommendations. 1) Send your campaign staff home. 2) Hire a smart staff and Cabinet of men and women who are not ideologues. 3) Tell those who booed to get out of your way. 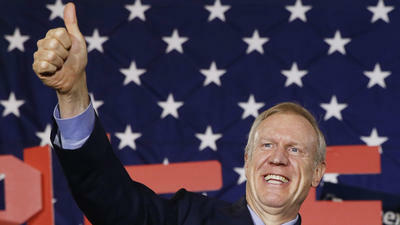 4) Illinois voters decided to elect a Republican governor and a Democratic House and Senate. That decision does not make you enemies but rather partners. 5) Successful Republican governors such as Richard Ogilvie, Jim Thompson and Jim Edgar learned how to work with Democrats. Study how they did it. 6) Your business success shows you are a problem-solver.Suggest that if certain incentives for small business and incentives to create new jobs are parts of a package, you are ready to negotiate. 7) Your wife, Diana, has superb judgment and can be your best adviser. Listen to her. 8) Be more accessible and open to the press. 9) When I served in the Kennedy administration, Sen. Everett Dirksen of Illinois invited me for a long visit and a drink in his secret hideaway office when he was the Senate minority leader. He said, “Newt, always stand on principle, and your first principle should be flexibility!” Gov.-elect Rauner, think about this and remember to keep your sense of humor. 10) Look often at a videotape of Chicago’s extraordinary Jackie Robinson West baseball team when it won the U.S. championship in the Little League World Series this summer and reflect on why these great kids won: teamwork. As I declared above, I’ve long been a fan of Newt Minnow. I’ll become a fan of Bruce Rauner too if he takes Minnow’s advice. If you missed my recent Make It Better article on these Top 11 Chicago Female Philanthropists, I wanted to highlight this list of amazing women I mentioned in April, 2014 when Mayor Emanuel created this tribute. In honor of Women’s Philanthropy Week and the#WomenLeading Philanthropy Symposium in Chicago, Make It Better announces our Top 11 Chicago Female Philanthropists. This list, which is ordered alphabetically, is made up of women we admire who are doing wonderful things in—and for—our community. The widow of Lands’ End founder Gary Comer continues in the philanthropic traditions she started with her husband, focusing primarily on children’s health and education. More than $50 million has been invested in Gary’s childhood community on Chicago’s South Side, including the creation of the internationally recognized Gary Comer Youth Center, a top performing college prep school, and an affordable housing initiative. Additionally, major investments have been made to theUniversity of Chicago, most especially $42 million for the Comer Children’s Hospital and Pediatric Emergency Department. Connelley has been a champion of better care for children and adults with Down syndrome and other developmental disabilities since she began working at a small South Side facility in 1969. She has grownMisericordia into a vibrant, loving community for 600 residents in the Rogers Park facility (for which she lobbied hard) with an annual budget of more than $50 million. Along the way Connelley has also earned seven honorary degrees, numerous other awards, and a beloved and much-respected reputation as a leading champion in the developmental disabilities arena. Harrington manages the extensive civic relationships and philanthropic efforts of JPMorgan Chase. She also sits on the boards of LISC Chicago, ChiArts High School (which she also helped found), Ingenuity Incorporated and Chicago Lights. Harrington has been a longtime champion of the power of female philanthropists; JPMorgan Chase is the premier sponsor of this week’s #WomenLeading Philanthropy Conference, which will draw national attention to Chicago’s prominence in this area. Known as the Patron Saint of Arts in Chicago, and also considered a national arts powerhouse, Harris and her late husband, Irving, championed development of the Harris Theater in Millennium Park, which created a home and new opportunities for scores of arts organizations. She has served on the National Endowment for the Arts,Arts Alliance Illinois, and as the Commissioner of Chicago’s Department of Cultural Affairs, as well as on the boards of the CSO, Juilliard Schooland Aspen Music Festival and School. The Foundation also supports programs, policies research and organizations for early childhood initiatives and the Jewish community. Lefkofsky is a rising star in Chicago’s philanthropic community. She and her husband, Eric, who founded Groupon, have given away $25 million to Chicago-area nonprofits working in education, medical research, fundamental human rights, and arts and culture. She’s also creating opportunities for female tech entrepreneurs with the foundation’s recent support of 1871 FEMtech. Her philanthropic drive predates Groupon’s success. As a child, Lefkofsky helped her mother stuff envelopes in support of the American Brain Tumor Association, which her mother founded, and later served as a director of the Printer’s Row Book Fair and Gallery 37 arts community. Thanks to her recent signing of Warren Buffett’s Giving Pledge with her husband, this commitment will only grow; they have pledged to donate half of their net wealth to charitable causes. 8. Ann Lurie—President and Treasurer, Ann & Robert H. Lurie Foundation; Founder, Africa Infectious Disease Village Clinics, Inc.
Lurie, a self-proclaimed hippie in her early years, also worked in public health and pediatric nursing before starting a family and never lost her passion for this work. Now, through the Foundation and her personal giving, Lurie engages in direct and transformational philanthropy and research grant funding in education, social services, arts and health care organizations around the world. Now perhaps best known for her $100 million gift to the Lurie Children’s Hospital and deep commitment to transforming health care in Africa, Lurie also has funded a long, diverse list of other programs through other institutions, including Northwestern and University of Michigan. Better yet, Lurie doesn’t just give money; when she takes a project to heart, she gives substantial time, too. She’s currently best known as the wife of the Republican gubernatorial candidate, but Rauner has long been a determined advocate for children and a thoughtful force behind her family’s prodigious philanthropic gifts. This includes launching the state-of-the-art Rauner Center for theAmerican Red Cross of Greater Chicago, founding six charter schools and supporting numerous other education and scholarship programs. She also serves on the board of Lurie Children’s Hospital. She’s most passionate, though, about the importance of early childhood education, leading her to take on a full-time commitment to theOunce of Prevention Fund, which is a national leader in the area. To understand the rocket-fuel power of strategic ideas amplified by philanthropic dollars, spend a little time listening to Ryan discuss the visions behind her family’s philanthropy, like the Ryan Opera Center of the Lyric Opera of Chicago, the Ryan Education Center of the Art Institute of Chicago, Pathways Center for Children, and manyNorthwestern University (her alma mater) programs. Ryan thinks deeply about a nonprofit’s mission and creates and/or funds programs with remarkable vision, while quietly deflecting attention from her valuable efforts. In 1979, with the belief that she could make the transition to a new life, language and cultural expectations better for Asians moving to the United States, Wong founded CASL in Chicago on a mere $30,000 budget. She based this on her own experience moving here from Hong Kong as an 18-year-old. Wong grew the Service League into a significant institution with a $12 million annual budget, and was recently recognized by President Barack Obama. She was the first Asian to serve on the boards of theChicago Public Library and the United Way of Chicago. Her public service also includes several city and state government advisory councils, the Chicago Commission on Human Relations(CCHR), the National Asian Pacific Center on Aging (NAPCA) Board, the Illinois Coalition for Immigrant and Refugee Rights (ICIRR) Board, and Illinois Council on Aging. I feel compelled to pass along most amazing news I received about the IFYC. Their premise is to train college leaders to learn about and embrace all religions so the world may better address and solve the many ills caused by religious intolerance. In just the past months, the team prepared for and executed two successful Interfaith Leadership Institutes (ILIs) in New York City and Chicago on the campuses of New York University and Northwestern. We welcome you to Chicago with open arms! With the support of the President’s Faith-based Council membership, on which I also sit, the IFYC team was able to train nearly 200 interfaith student leaders over the summer, moving closer to the goal of 450 students trained this academic year. This is remarkable progress, and I am continually impressed by the young interfaith leaders they to work with. As September begins, Founder Eboo Patel, a Rhodes Scholar and Obama advisor, is back on the campus circuit with renewed inspiration, traveling near and far – from the public Utah State University in Logan, UT to the Ivy League campus of Cornell University in New York; from Loras College, run by the Catholic Archdiocese of Dubuque, IA since 1839, to Meredith, the largest all-women’s college, in Raleigh, NC. Eboo doesn’t stop here. His energy is boundless and later this month, the team hosts a set of important IFYC events in Washington, DC, including a gathering on White House grounds. You can help now by making a personal or corporate contribution here. We continue to support IFYC I’ve written about IFYC and Eboo for MIB in the past and hope to host him at our nondenominational church in partnership with a nearby synagogue soon. This is part one of a series on the amazing initiatives of Eboo and the IFYC as a whole. Thank God for billionaires who take seriously their promises to give away much or all of their wealth to improve the world. Because so many first world governments are deeply in debt, corporate philanthropy reductions, consumer distrust in the effectiveness of traditional NGOs because of systemic corruption in third world countries, these billionaires are in a strong position to make a real difference. And they are smart and strategic thinking enough to invest their philanthropic dollars for maximum impact. One example is Michael Bloomberg, who seems to be making progress on his vow to give away his entire $32.8 billion before he dies through his foundation. 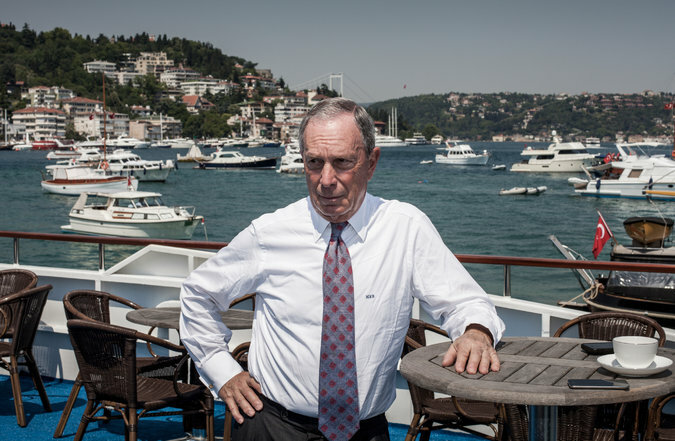 The progress Bloomberg has made with his foundation deserves attention and respect. His vow to give away his entire $32.8 billion before he dies is coming to fruition as this recent initiative shows. According to the recent New York Times article, he plans to focus his efforts on the following; he hopes to sharply reduce high smoking rates in Turkey, Indonesia and other countries; bring down obesity levels in Mexico; reduce traffic in Rio de Janeiro (and Istanbul); improve road safety in India and Kenya; prevent deaths at childbirth to mothers in Tanzania; and organize cities worldwide to become more environmentally friendly and efficient in delivering services. Quantified & Proven – his foundation’s antismoking initiative in Turkey worked. More please. Good sleep is as fundamental to a happy life as love and good food. But a “good sleep” can be more elusive. A tasty meal or a big hug – that’s easy, if you are close to home. But even in your own bed, a good night’s sleep can evade you. My teenage kids marvel that I was able to give them hugs at all during my child-bearing years. “Mom, you were with babies and without a good night’s sleep for eleven years straight!” they tease. Now I marvel at their need to sleep long, long hours. Humanity is just beginning to understand the science of sleep. And it is mysterious and fascinating. 1. An hour before bed, relax. Shower, read a book for fun (a school book doesn’t count!) or spend time with family. 2. Limit exciting activities 1-2 hours before bedtime. 3. Limit light an hour before bed, including TV, cell phones and computers. 4. Raise the shades to rise and shine. Sunlight in the morning helps awaken the body and mind. Sleep Myths: Debunking cultural perceptions of sleep & the secrets to a great night of sleep at any age! Space is limited, RSVP here.